The King of Pop earned $275m (£173m) in the last year, according to Forbes - more than any other celebrity, dead or alive, except Oprah Winfrey. "Jackson's spot atop our top earning dead celebrities list should come as no surprise given the renewed interest," Forbes writer Lacey Rose said. Elvis Presley came second, making $60m (£38m), followed by JRR Tolkien. The estate of the Lord of the Rings author generated $50m (£32m), Forbes said. Peanuts illustrator Charles Schulz raked in $33m (£21m), while former Beatle John Lennon was fifth on the list, earning $17m (£11m). Jackson's estate earned more than the next 12 deceased celebrities combined, Forbes estimated. Jackson's album sales and radio airplay accounted for $50m, while sales of a video game, memorabilia and a re-released autobiography were worth another $50m, the magazine estimated. His estate was paid $60m for This Is It, a film of the rehearsals for his ill-fated comeback concerts at the O2 arena in London, it said. His estate has also struck deals to release previously unheard music as well as merchandise, toys and other products. 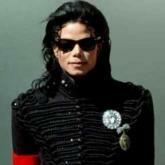 Jackson's debts were estimated at $500m (£315m) when he died aged 50 in June 2009. Ms Rose said: "Thanks to a lucrative catalogue, hit film and album sales, the late king of pop earned more in the last year than Lady Gaga, Madonna and Jay-Z, combined."